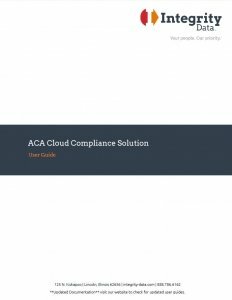 Watch the video to learn about our ACA Compliance Solution in 90 seconds! Integrity Data’s first priority is your success. Our Customer Care Team is available to you whether you’re transitioning from another ACA reporting service or brand new to dealing with Affordable Care Act employer compliance. 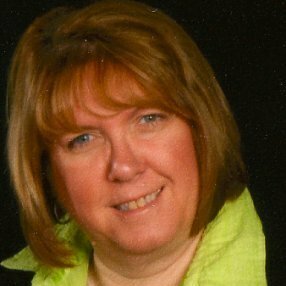 Magen Koepp | Employee Benefit Plan Specialist, Olsen Thielen & Co.
“I was amazed at how quickly 1095-Cs were generated once the data is all there. And once generated, you can print them in different file formats and sort orders. It is literally as easy as a few clicks. “I am assuming a Benefits Manager position after last serving in a benefits role about 5 years ago. Although I have read everything about the ACA I could find over the past few years, there is literally an avalanche of requirements and reporting to learn about quickly. 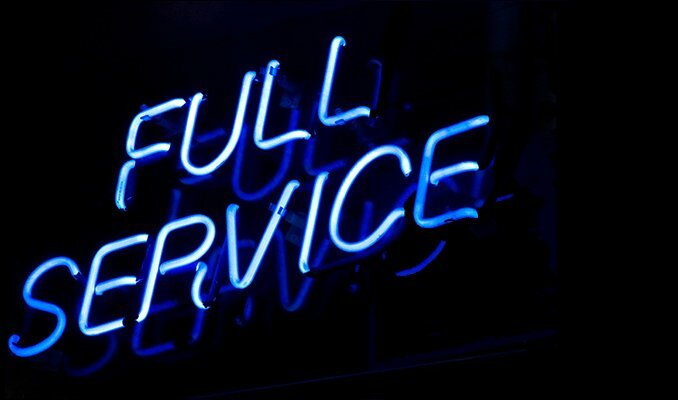 “I love how you guys go above and beyond to help your customers. Recording the ACA User Group webinars helps all clients learn from them. 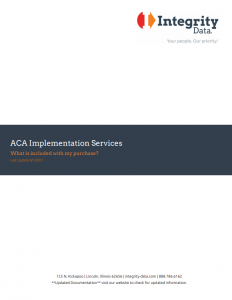 What makes the Integrity Data’s ACA solution an easy choice? Since the introduction of the Affordable Care Act, we’ve helped more than a thousand employers fulfill their requirements successfully. Our mature ACA solutions are consistently updated with new features as warranted by customer feedback, changes in the law and IRS guidance – watched closely by our subject matter experts. Our reporting solution works with any ERP and/or payroll system; there are multiple ways of integrating with your system of record. 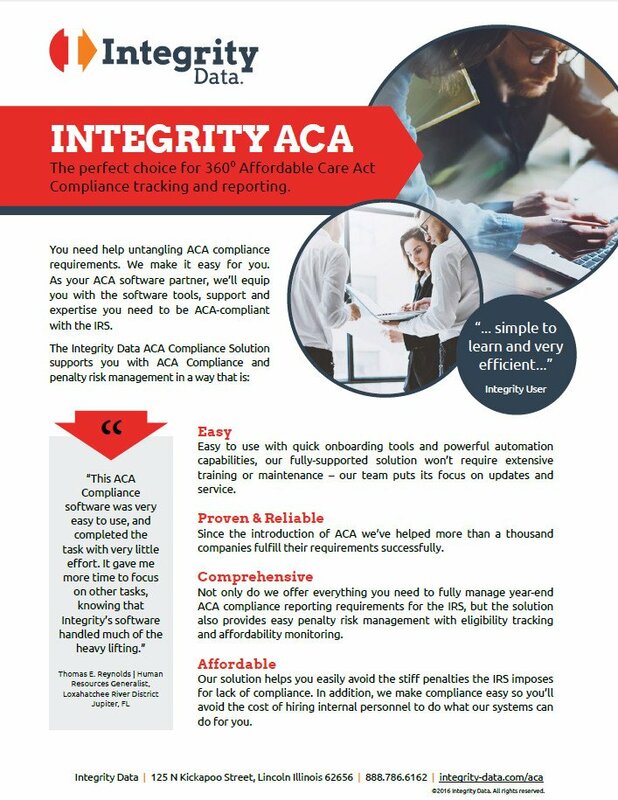 Not only do we offer everything you need to fully manage year-end ACA compliance reporting requirements for the IRS, but the solution also provides easy penalty risk management with year-round eligibility tracking and affordability monitoring. Our ACA reporting solution determines and documents which employees are eligible for health insurance by month, every month. So you know when to make an offer of coverage. 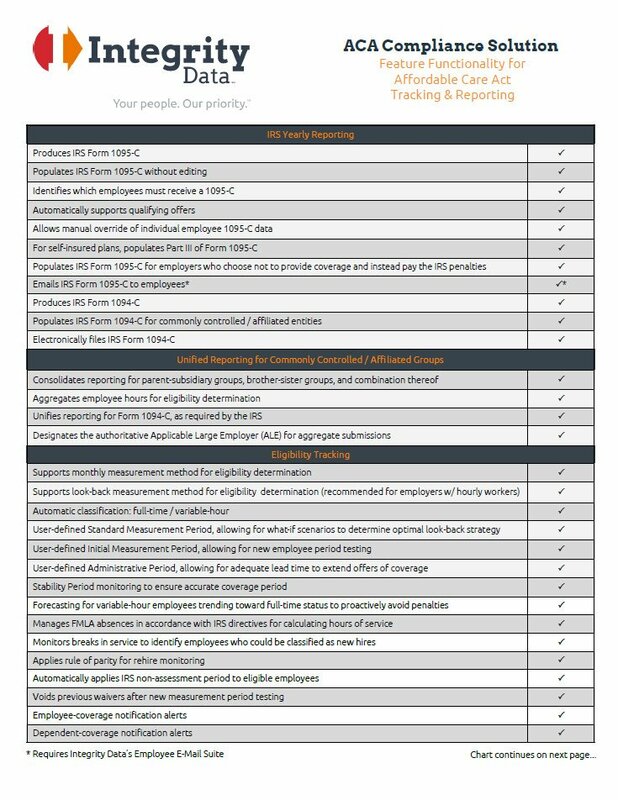 Our ACA reporting solution and services calculates each employee’s contributions according to any of the three allowed safe harbors. That way, you can make sure the health plans you offer meet the ACA affordability standards for every eligible employee. Get updated reports within seconds or minutes rather than hours or days. A central dashboard gives users real-time access to all data, forms, and reports; including eligibility forecasting. 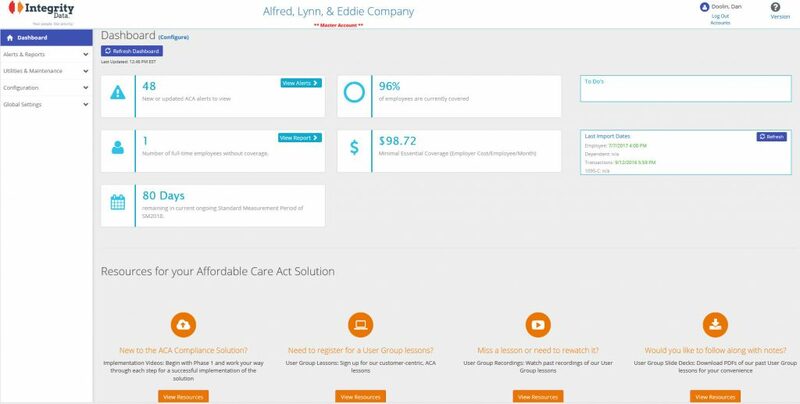 See our ACA reporting service in action! Our solution and reporting services helps you and/or your customers avoid stiff penalties the IRS imposes for lack of compliance. In addition, with compliance tracking and reporting simplified, you’ll avoid the cost of hiring internal personnel to do what our system automatically will do for you. Service Providers can provide or enhance this ACA reporting service to your clients with confidence and pricing models that fit your business. Easy to use with quick on-boarding tools and powerful automation capabilities, our fully-supported solution won’t require extensive training or maintenance – our team puts its focus on updates and service. Our team of ACA subject matter experts provides educational consultation to help you understand the latest (often-changing) IRS guidelines around ACA compliance for employers and how to avoid the penalties for non-compliance. Monthly newsletters and user group lessons with updates on new IRS guidance and interpretations of the law, as well as new features scheduled for the ACA software. Using predefined or user-defined roles, grant access to specific areas of the system including specific type of information and reports. Protecting our customers’ information is of key importance. Security is part of our reporting solution and service’s foundational architecture: we leverage Microsoft Azure as a secure platform and deploy the latest tools and best practices. guidance as possible so they focus on running and growing their businesses. to find out how an ACA reporting vendor like Integrity Data can help. I’d like a free, 30 minute ACA consultation! Read more client successes here! 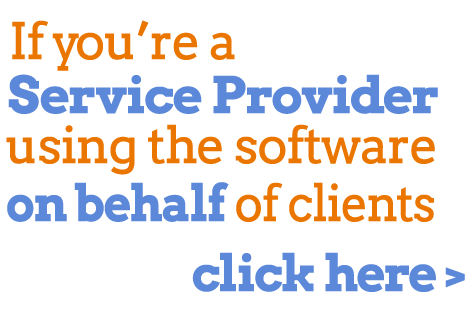 Are you a using the software on behalf of clients? 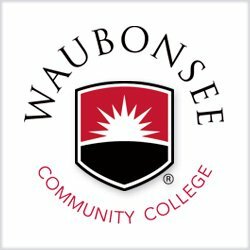 I was so happy and relieved when they called to help me get my 2017 year closed and forms printed. 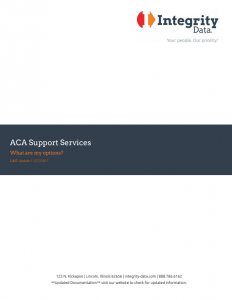 As an ACA reporting vendor, we want to make sure you have the best resources at your fingertips including our ACA Education page which will help you understand the mandate and how it applies to your business. What are the guidelines for classifying an employee as full-time, thereby requiring the employer to offer coverage by the first day of the month immediately following the conclusion of the employee’s initial three full calendar months of employment? What are the guidelines for classifying an employee as a variable-hour employee? On IRS Form 1095-C, there is a section for dependent information (Part III). Do we need to track dependent information when the employee elects spouse and dependent coverage? 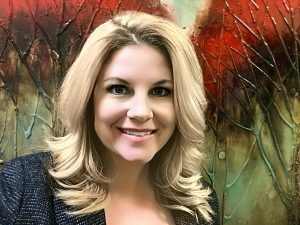 Unless the employer’s policy is self-insured, you will not put anything in Part III of Form 1095-C. A self-insured group health plan (or a “self-funded” plan, as it is also called) is one in which the employer assumes the financial risk for providing health care benefits to its employees. Self-insured employers pay for each out-of-pocket claim as those claims are incurred instead of paying a fixed premium to an insurance carrier – the arrangement known as a fully-insured plan. Even though these plans are called self-insured plans, an employer typically does not assume 100% of the risk for catastrophic claims. Rather, the employer buys a form of insurance known as stop-loss or excess-loss insurance to reimburse the employer for claims that exceed a predetermined level. Got more questions on the ACA? We get it, it can be confusing to figure out what your ACA reporting dupties are. If you sign up for our free 30-minute consultation, our experts will explain exactly what you need and how our software can help.